Wow, it’s been quite a while since I’ve posted here. It’s about time I gave an update! 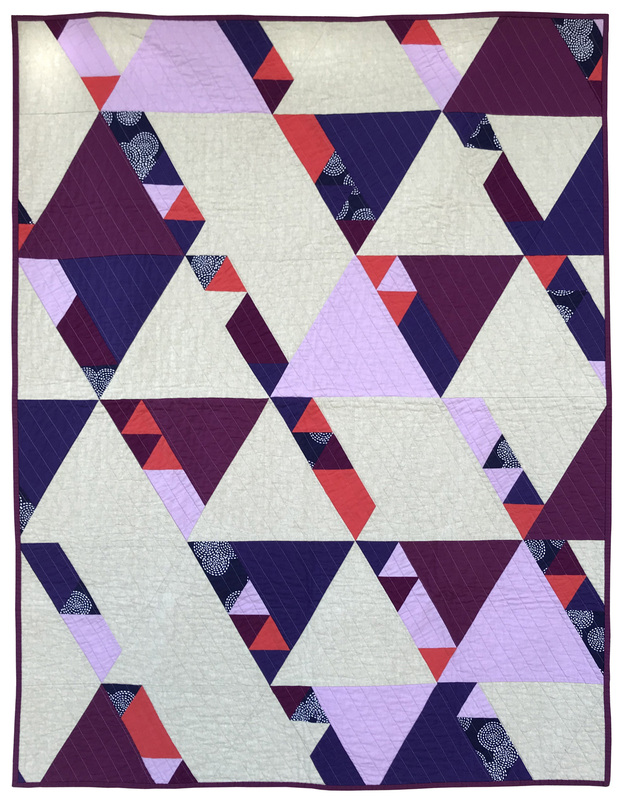 When I started this blog I was very excited about sharing my process and making myself explore new ideas in quilt-making. I learned a lot and created an award-winning quilt in the process. My time, however, I have discovered is limited. Go figure. While I still love this idea for a quilting blog, I have decided that I need to transition this space to one that presents my ongoing work in a less regimented way. In the new year I plan to revamp this site and (fingers-crossed) begin writing quilt patterns to sell. I’ll keep you posted! In the meantime I’m adding some photos to the gallery, like this one below. I made this as a gift a number of years ago and over Thanksgiving I was able to take a better picture. Cheers to all! I’m so glad I found your blog Kari. I’m following now and I look forward to seeing some pattern from you this year. Let’s do it!! Yes let’s do it! My blog is going to shift focus so planning changes to it along with the new challenge of pattern-writing!